The courier business is one of the occupational activities you could use in securing financial independence and becoming your own boss. Interestingly, you can start the business with little capital and hope to expand it when you start raking in substantial returns. 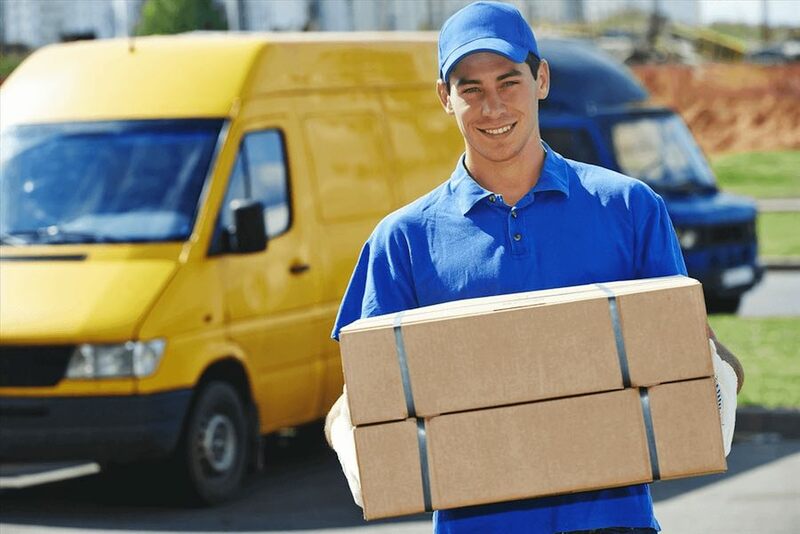 Starting a courier business isn’t as difficult as some people think and if you’d like to delve into the business anytime soon, below are the essential tips you need to start it easily and market it once it starts running. This is likely one of the preliminary things you should do while starting a courier business. You have to figure out the expenditure required to start up a courier business and keep it running after the establishment. This way, you can easily decide whether you’re capable of starting the business and managing it effectively. While estimating your business expenses, one important thing to consider is how you intend to do the business: would you like to hire a vehicle or acquire full ownership of the vehicle? More importantly, try to figure out the cost of purchasing the equipment needed for helping clients to convey their items. Provided you’re able to cover all of these projected expenses, you can rest assured that a courier business is a perfect match for you. This is one of the critical aspects of starting a courier business as you’re expected to have a dependable vehicle that can be used in delivering clients’ items. Whether you’ll hire or purchase a vehicle, try as much as possible to choose the reliable one. Also, consider the amount of space the vehicle you’re choosing can offer as you may be required to help clients convey a sizeable amount of items. Due to the considerable amount of space it offers, a cargo van could be the perfect vehicle for the courier business you’re starting. While somebody who has much money may choose to buy a new cargo van, you can simply opt for the used one provided it is in good condition and its price is within your budget. Equipment incorporates the items you’ll be using in plying your courier business. Getting the right equipment is one proven way to facilitate your courier services and for the most important part, the kinds of items or materials you’ll help clients convey determines the equipment you should buy. While a furniture dolly should be the suitable equipment for conveying wooden chairs, tables, and other furniture, you should also have a hand truck provided you’ll be transporting boxes or packages. You can visit any big retail outlet near you to purchase the equipment you need for your courier business. Meanwhile, don’t forget to purchase supplementary equipment such as tapes, moving blankets and cargo straps which will be needed for keeping your clients’ items safe while transporting them. Needless to say, the name of your business is the actual feature that distinguishes you from those in the same business line as you. Perhaps there are several courier businesses in your location and in order to stand out from the crowd, you need a unique business name. By the word ”unique”, your business name must be original and different from what someone else is using. One way you can choose a unique name for your courier business is to get in touch with the state secretary in your chosen business location and find out if the name has been used by someone else or not. Once you’re done selecting a distinct name for your business, a legal entity could be the next thing your business needs. With respect to this, you may have to define your business either as a Limited Liability Company (provided you want several persons to partner with you) or a Sole Proprietorship (if you want to be the sole owner of the courier business). You need not be told that insurance coverage is important for your courier business if you’re really conscious of accidents and the likely damage they can cause. Importantly, provide your business with the suitable type of insurance. If your courier business is not appropriately insured, prospective clients may be discouraged from engaging your services. In addition to vehicle insurance, some of the things you may need for your courier business are liability insurance and cargo insurance. To figure out the monetary requirement for insuring your courier business, endeavor to consult any of the insurance brokers in your neighborhood. Also, note that the possible business risks, your business location and the kinds of deliveries you carry out are some of the factors that determine the cost of your business insurance. Linkedin, Twitter, and Facebook are some of the popular social networks you could use in advertising your courier business. Some of these social networks let you use their self-serve platforms in searching for targeted clients. All you need is to identify the location, demographics or interests of your clients so that you can easily get your business ads in front of them. With the help of a responsive blog or website, you can widen the online reach of your business. When the prospective clients within your neighborhood are searching for courier businesses on their mobile phones, they are likely to come across your blog or website. Just ensure the blog/website is well packed with relevant information including the courier services you offer and possibly the rates you charge clients. Advisably, update the website frequently to keep clients informed about important business offers such as discounts. In addition to advertising your courier business on social media and setting up a website/blog for it, you can incorporate the distribution of fliers into your marketing strategies. During your deliveries, dole out some of these fliers to the people you find on the road or at busy spots such as shopping malls.